The title “kai-sou-fu” in Japanese is an impressionistic term that implys memories of old days. Because there is no English translation for this title, a friend of the composer suggested the French title, which means “souvenirs from year to year.” This music includes a short story written by the composer to evoke the feelings the composer is trying to convey. 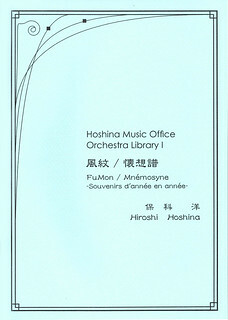 Arranged for Orchestra at a request of the Hoshina Academy Chamber Orchestra “Ensemble=Harmonia” and premiered on 22nd. Sep. 2001. 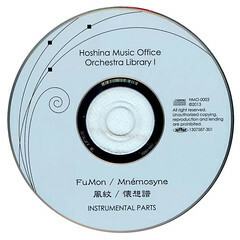 This work is published by Hoshina Music Office.